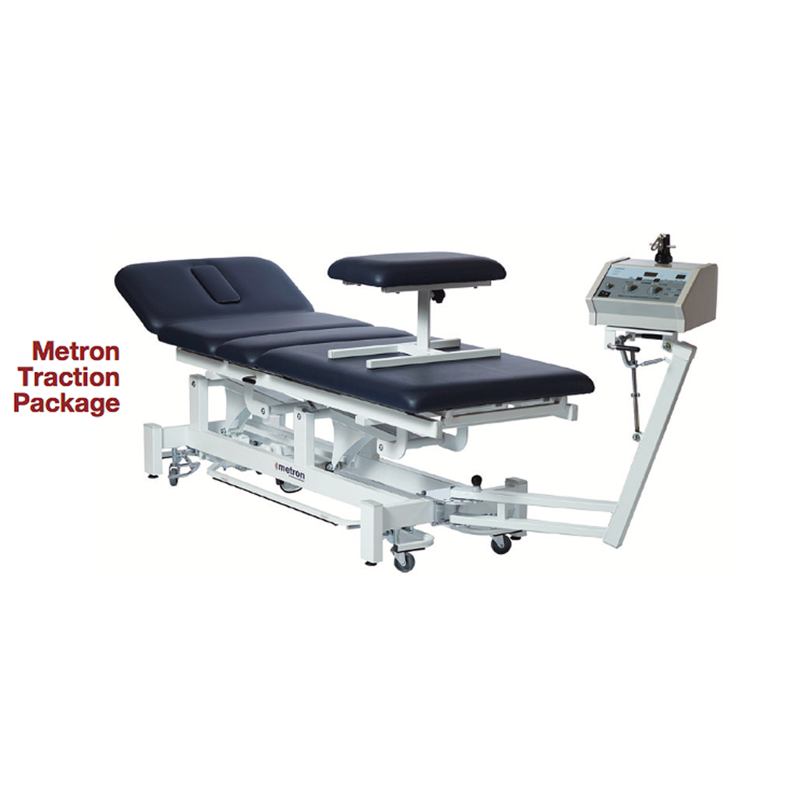 The Elite Traction Table is a state-of-the-art traction table with a four piece top offering two friction free lockable sections as well as a lift up back section with a removable extension bar allowing for seated cervical traction. 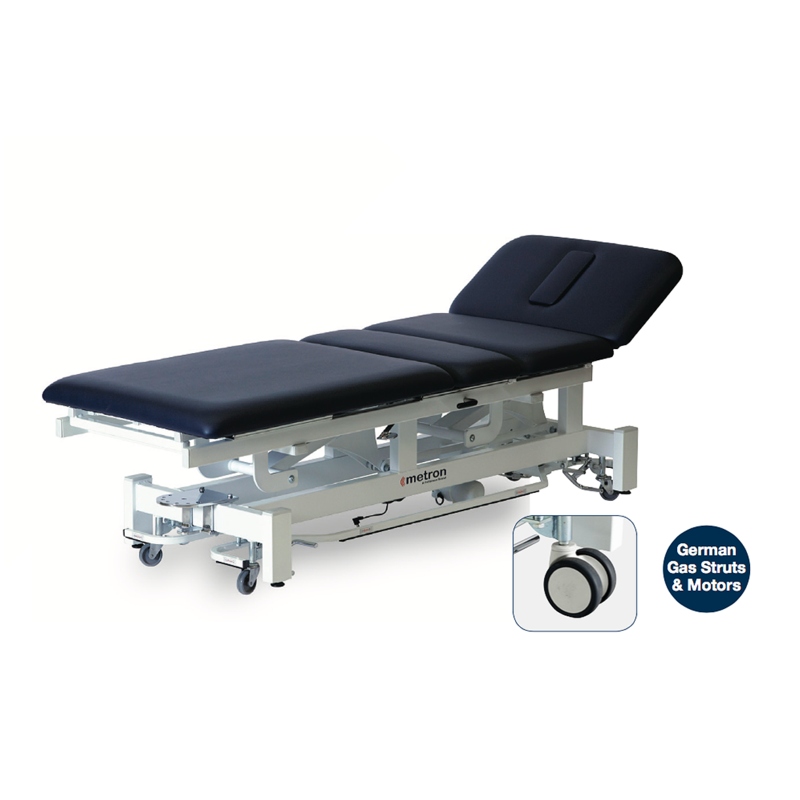 The design of this table allows for complete freedom in all traction set ups. This table comes standard with an “Elevating Surround Bar’, as shown in the picture.